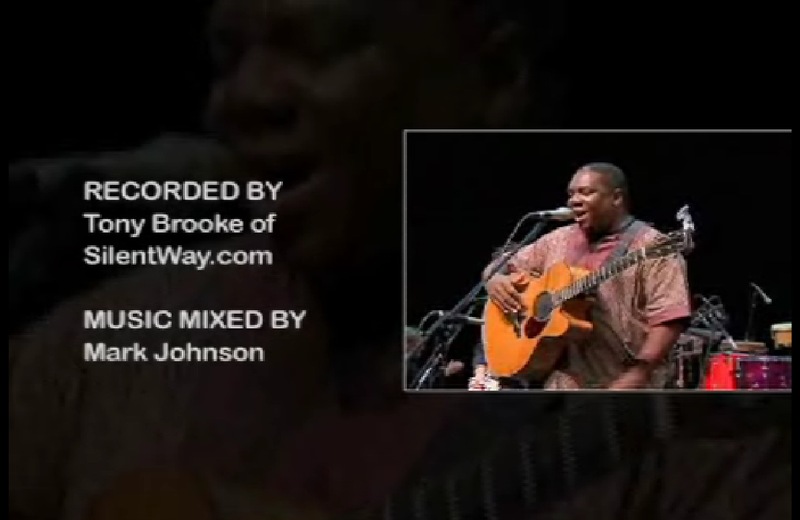 On 3/29/07 Tony Brooke recorded audio for a video shoot of a benefit concert featuring Vusi Mahlasela, Taj Mahal, David Hidalgo (of Los Lobos) and Mickey Hart (of Grateful Dead) at The Palace of Fine Arts in San Francisco, CA. 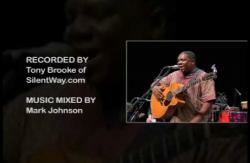 The concert was aired on Link.TV as "Songs for Change Part 2: Vusi and Friends, A Benefit for 46664 the Nelson Mandela Foundation." "Filmed at the Palace of Fine Arts in San Francisco, “Vusi Mahlasela and Friends: A Benefit for 46664 the Nelson Mandela Campaign” features the music of Vusi Mahlasela and special guests Taj Mahal, the Grateful Dead's Mickey Hart, and David Hidalgo of Los Lobos. Highlights of the concert are two country blues songs by Taj Mahal accompanied by David Hidalgo, and the stunning "Song for Thandi" written by Vusi Mahlasela, describing the extraordinary ordeal of a pregnant political prisoner facing the ultimate choice of life over death. 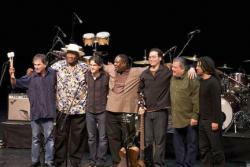 Mahlasela's voice is a supple and emotional instrument, and his backup band lay down solid African grooves behind the master's songs. A joyous jam session in which the audience takes the stage closes out the concert."